The 1950s was a great decade for football here in Canada with the addition of some outstanding American talent. The most versatile of all Americans coming north was Jackie Parker, who had rewritten the offensive record book at Mississippi State University before being drafted by the New York Giants as their 325th overall pick in the 27th round in 1953. All these years later, many of his college records still stand today. Nicknamed “Ol’ Spaghetti Legs,” Parker crossed the border to play quarterback, halfback, and receiver positions on offense, plus defensive back in the two-way era. And that’s not all. He could place-kick. He could punt. And he did everything very well. In his CFL career, spent with three different teams, he threw 96 TD passes, rushed for 68 more, and caught another 19. He passed for 16,376 yards, ran for 5,208 yards, and caught passes for 2,547 yards. He was Edmonton Eskimos main punter for three seasons, and their main place-kicker for three other seasons. And he returned kickoffs for them for two seasons, too. Born New Year’s Day 1932 in Knoxville, Tennessee, Parker was fortunate to play any sports at all, let alone survive childhood. Growing up, he almost died from a ruptured appendix and he caught a flesh-eating disease that nearly cost him his leg. Doctors wanted to amputate, but Parker’s mother refused the medical procedure. At Mississippi State, he was also an excellent shortstop, good enough for an offer by the major league Cincinnati Reds. But Parker wisely chose football, and he chose the Eskimos, despite a better offer from the New York Giants. One of the reasons for accepting Edmonton was that his MSU quarterback coach in 1952, Darrell Royal, was the Eskimos head coach, although he returned to MSU as their head coach for 1954. Jackie Parker, 1962. Courtesy Post Foods, LLC. In his inaugural 1954 CFL season, sixty years ago, the six-foot-one, 190-pound Parker rushed for 925 yards and 10 TDs, caught two TDs and passed for two more. Parker then made the headlines on one particular play in the Grey Cup that November played at Varsity Stadium, Toronto before 27,300 fans, the first Grey Cup to be televised. With three minutes left on the clock--the heavily-favored Montreal Alouettes up by 25-20 and on the Edmonton 20-yard line--were going in for a TD to nail down the game. On the next play quarterback Sam Etcheverry handed off to Chuck Hunsinger, who was hit hard by Ted Tully. Parker, in the right place at the right time, picked the fumbled ball up and raced 90 yards for a touchdown, with Johnny Bright riding shotgun by his side, giving the Esks an upset 26-25 victory. The 90-yard fumble return is still a Grey Cup record today. Check it out on www.youtube.com. After the runback, Jackie Parker became a household name in Canada and a folk hero of sorts. In the off season, he was then approached by the Giants who upped the ante even further if he’d go to New York. This time, Parker’s wife, Peggy Jo, stepped in and said she liked Edmonton better and wanted to stay put. Parker went on to become one of the biggest stars--if not the biggest--in the history of the Canadian Football League. Parker was a huge part of the Eskimo dynasty that won three straight Grey Cups from 1954-1956 (as well as another Grey Cup appearance in 1960) with the revolutionary Split-T formation that had first been introduced to Edmonton in 1953 by out-going coach Darrell Royal. Inbound coach Pop Ivy tweaked the formation by showcasing it with a dual-fullback system featuring runners Johnny Bright and Canadian Normie Kwong, two players let go earlier by the Calgary Stampeders. Parker won Western All-Star selections as a running back in 1954, 1957, and 1959; and as quarterback in 1955, 1956, 1958, 1960, and 1961. He won six straight Jeff Nicklin Trophies as the West’s MVP from 1956-1961, and another in 1954. He also won the Schenley Award as Canada’s most outstanding player in 1957, 1958, 1960, and was runner-up in 1956 and 1961. After the 1962 season, Parker was traded to the Toronto Argonauts for five players and $15,000 cash. He retired after three seasons, seeing the Argos finish dead last every year. As an assistant coach with the BC Lions in 1968, he appeared briefly as a player in eight games when injuries hit the other quarterbacks. Turning to head coaching, he ran the BC Lions for part of 1969, all of 1970, then became their GM from 1971-1975. Elected to the CFL Hall of Fame in 1971, he coached his old alma mater, the Edmonton Eskimos, from 1983 until two games into 1987, without a losing season. He died 6 November 2006 in Edmonton at age 74. That same month, he was voted Number 3 in TSN’s Top 50 CFL players of the modern era. 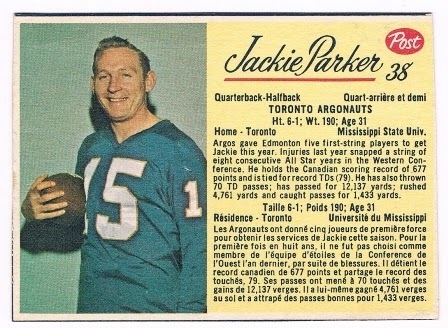 Jackie Parker as a Toronto Argonaut. Courtesy Post Foods, LLC. As a huge sports fan since the early 1960s, I remember how big the name “Jackie Parker” was. Although his skills had started to slip a notch or two by then, his trade to Toronto was still a blockbuster. Perhaps even a shock. The first time Parker came to my hometown of Regina as an Argonaut to play the Roughriders, I was there with a couple friends. According to the schedule I found on the internet, that day had to be 6 October 1964. It was easy to determine the date because during the 1960s the western teams and eastern teams met each other team only once each year during the interlocking schedule and they would alternate the home field. Actually, it was the only time Parker played a regular season game at Taylor Field in his three years as an Argo. Anyway, I can distinctly recall that I had cut out a black-and-white photo of Parker measuring around four-by-five from the local Regina Leader-Post newspaper beforehand and taped it to the back of a piece of cardboard, then took it to Taylor Field for the game. While my friends and I waited patiently outside the locker rooms, I saw Parker and asked him to sign my photo. Although the Argos had lost 31-12 that day, the cordial Parker took my photo in his palm and carefully autographed it without so much as his ballpoint pen puncturing my thin newspaper photo. Just one of those great memories you never forget when an icon such as Jackie Parker takes the time to sign an autograph for a wide-eyed, snotty-nosed, 12-year-old kid. In the early 1980s, I interviewed dozens of World War II Canadian airmen who had flown with the Royal Canadian Air Force (RCAF) and then put their first-person stories into my first two books; Two Wings and a Prayer in 1984, and Maximum Effort in 1986, both by Boston Mills Press of Erin, Ontario. With Remembrance Day upon us, I’ve taken five excerpts from the two publications and have placed them here for us to reflect on and help us appreciate what these brave individuals--young men then--under combat conditions went through for our freedoms. These were real people, all Ontario residents at the time, not some phony, fearless characters out of a Hollywood movie. “We attacked flying-bomb sites, radar stations, marshalling yards and bridges along the Seine in preparation for D-Day in Normandy. After D-Day we became a close support unit for the Canadian Army in the Northwest European Campaign. We attacked tank formations, ammo dumps, troop concentrations and enemy headquarter units. I well remember what the D-Day operation looked like from the air. On the way over, we saw the incredible sight of a solid line of ships stretching from England to France. Just off the French coast was a formation of the largest battleships in the world, and they were firing shells inland. The whole thing was really impressive. “I was shot down over the North Sea on July 26, 1942 on my thirteenth op and it happened to be my wife’s birthday. 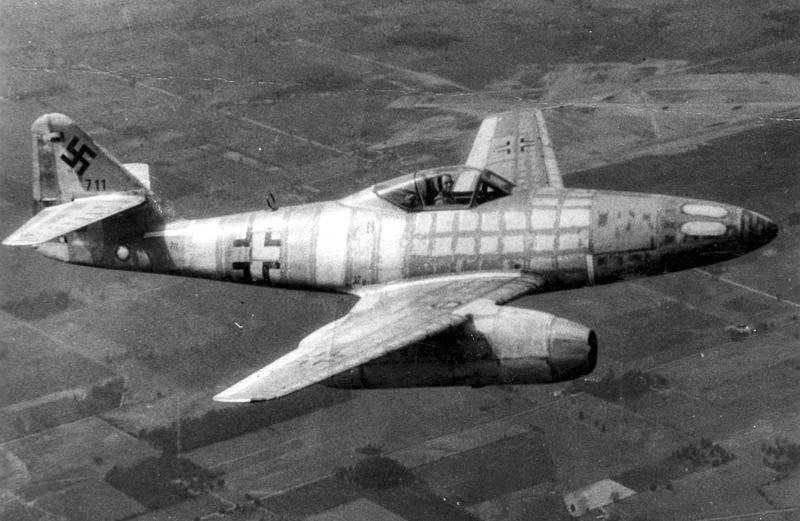 A Ju-88 twin-engine fighter equipped with airborne radar snuck up behind us and raked us with cannon fire. It all happened so fast, we never saw it coming. Myself, the navigator, and the tail gunner managed to fall out just after our tanks exploded and came apart in mid-air about 100 feet over the water. The other crew members didn’t make it. Once the three of us hit the water, we were able to stay afloat for almost 30 hours on one of the wings. By the second day, once the weather was getting pretty rough, a German sea plane found us and dropped onto the water and let out a dinghy. The weather was so bad that the German in the dinghy was throwing up as he pulled us in. “I had already finished my operations and was at Brussels on a “non-ops” tour. It was New Year’s Day, 1945. The night before we had all celebrated at a mess party, and the next day we were moving around awfully slow. 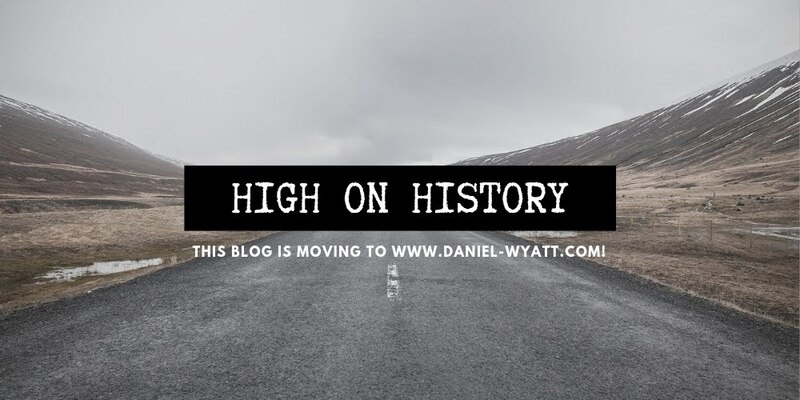 We were just taking our time walking from the billets down to the mess, when all of a sudden we heard strange-sounding aircraft, then some machine gun fire. The airfield was under attack! We were on the edge of the aerodrome and we all scrambled for different dugouts. I got behind a machine gun. “It was the night of July 3/4, 1942. 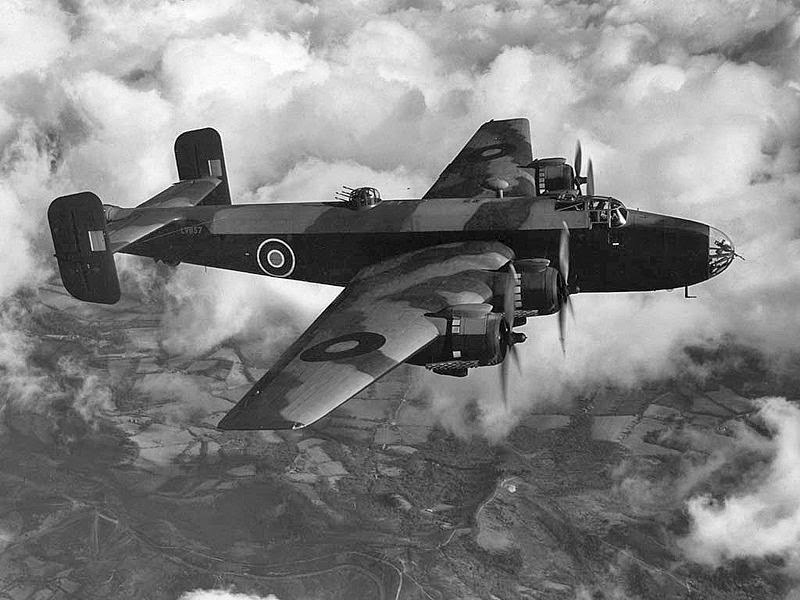 We were mining the channel between Helsinborg, Sweden and Helsingor, Denmark, a mere three miles apart, when we took an incendiary shell in the inner gas tank of our Lancaster from the German flak gunners off the docks at Helsingor. We were at about 600 feet at the time. The wing started on fire and actually began to melt right off. The next thing I knew we hit the water! The aircraft tumbled sideways and everyone was killed except me. Being strapped to the pilot seat probably saved my life. The next thing I knew, I was out of the aircraft but I don’t remember how I got there. I passed out, then came to and realized the skin had been burned off my forehead. I tried to swim for a buoy in the water, but I couldn’t find my arm as it was broken and slung over my right shoulder. The flight to Akyab was uneventful and we encountered some light flak over the airfield. After the bombing was finished, we turned for home. Then I noticed smoke coming from Colin’s aircraft. He entered into a shallow dive and headed out over the Bay of Bengal. Rankin and I followed him, trying to get him on the radio but with little success. We entered a low layer of cloud and as we emerged, Colin was in a spin and still smoking. We circled his aircraft, trying to contact him. We could see him struggling to recover from the spin, which he finally did, only to over-correct on pullout and stall again. This time he was too low to recover and after three or four turns, he crashed into the Bay! Rankin and I circled the spot. The Hurricane broke up and sank very quickly, leaving behind an oil patch and a few bits of wreckage. These are only a few stories from my collection out of the many thousands who participated in World War II in all the services. Where would we be today as a nation without them? We’ll never know the half of what they went through for us.